With roughly 73% of your daily suggested serving of Vitamin C in just half a grapefruit, there’s good reason that this fruit, though often overlooked, has extreme benefits to help you reach your nutrition goals. 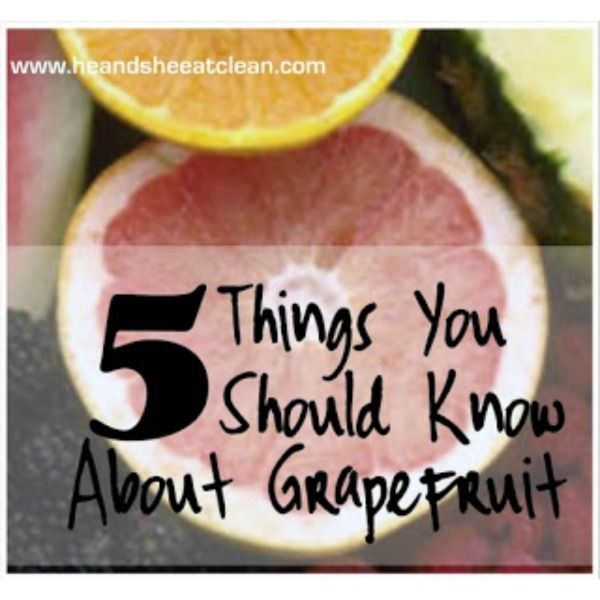 Pink and Red Grapefruit has high levels of lycopene, a carotenoid phytonutrient. What’s that you ask? Essentially, it fights cell-damaging free radicals – a substance very important in preventing/shrinking tumors! Pectin, a soluble fiber source, found in Grapefruit can help lower cholesterol! Specifically, research has shown that Blonde and Pink Grapefruits lower LDLs (this it the cholesterol you don’t want) while Red Grapefruit lowers triglycerides. Grapefruit can help your skin to look radiant! We have all seen the grapefruit soaps and lotions at the makeup counters and drug store aisles, but have you ever wondered why it works? Because of the lycopene and other nutrients and enzymes found in Grapefruit, you expose your skin to a wealth of damage-fighting power! This means that applied directly to the skin (or eaten regularly), you will see a radiance that you may not have noticed as the Grapefruit helps to repair your damaged skin, including pesky lines and wrinkles! Ask your doctor before adding grapefruit to your diet! Enzymes found Grapefruit can inhibit the proper absorption of some prescription medications. Do your research! TWO ingredients and TEN minutes are all this Simple Baked Cinnamon Grapefruit takes! It’s the perfect healthy snack that you will love!